Cape Town — The North African Football Union (UNAF) wants the Confederation of African Football (CAF) to move the hosting of the 2019 African Cup of Nations from Cameroon to Morocco. UNAF says Cameroon seems more than likely to withdraw, and the union is placing pressure on CAF to make sure that the first-ever, 24-team tournament is not held under difficult conditions or in half-finished stadiums. As a meeting of the CAF Executive Committee nears, where crucial decisions are expected, the region's football union supports the "rescue mission" envisaged by Morocco. According to Algerian papers, the Kingdom of Morocco wants to come to the rescue for the second time after the African Nations Championship was withdrawn from Kenya in 2018, and they can count on "the support of Tunisians, Egyptians, Libyans and especially Algeria". 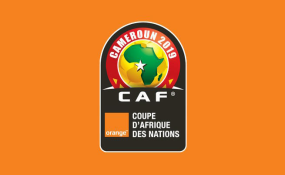 "According to information in our possession, the AFCON 2019 will take place next June on Moroccan soil and not in Cameroon, because of the great delays in the construction and renovation of infrastructure," reports Le Buteur in its Wednesday's edition. CAF's President Ahmad had reportedly raised the possibility of holding the 2019 tournament in another country, if Cameroon is not able to finish the preparatory work in time.